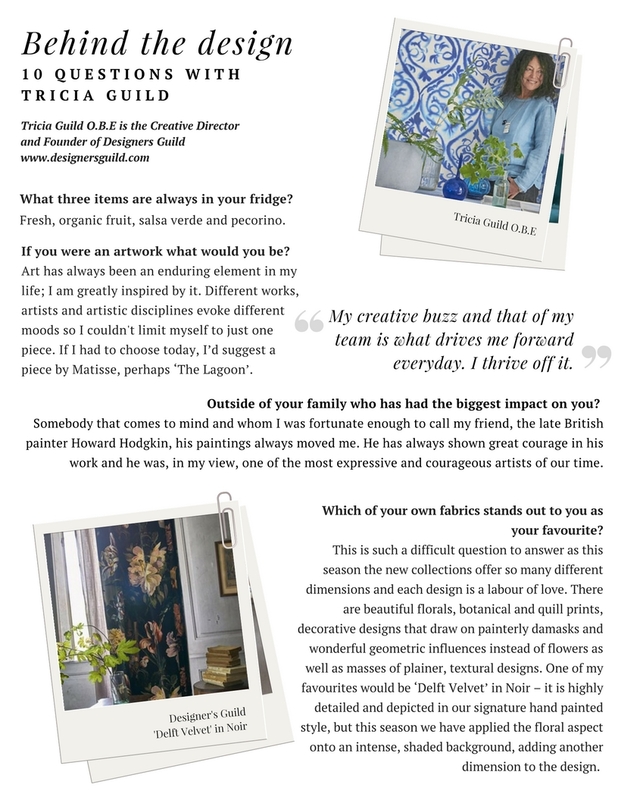 WHO: A chat with Tricia Guild of Designers Guild. WHY: From Matisse to salsa verde we soak up the likes and loves of Tricia Guild. 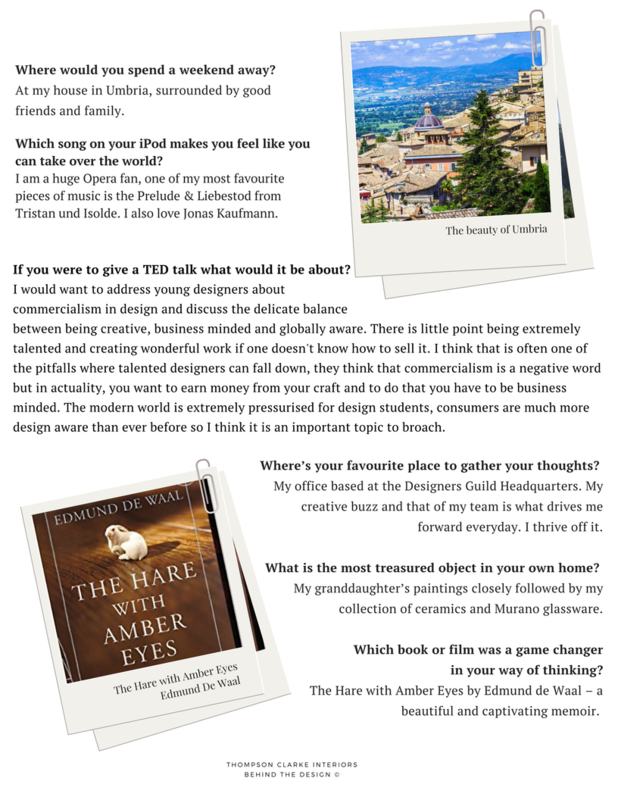 Find out what inspires her design and what are her life essentials as part of our Behind the Design series.